Private Internet Access VPN Review 2019: Safe and Secure VPN? During a recent conference on internet privacy and the rising popularity of VPN services, I was speaking about the importance of VPN services for online businesses and was bewildered by the lack of awareness about it. Have You Heard of Private Internet Access VPN? Most online businesses ‘assumed’ that the internet was a safe enough place. Others believed that their antivirus was enough to keep them protected and would cover their tracks. Jeez, that’s wishful thinking at its best. Let’s me reiterate what I said at the conference. It’s a dog-eat-dog world out there. It is in your best interest to keep your privacy protected. There’s no dearth of snoopers as you’d know by now. If the fact that the government is most likely snooping on your emails, chats and browsing habits doesn’t bother you, then you must seriously think about hackers. A VPN service is hands down, the easiest way mask your online presence and to prevent your private surfing habits from being shared with anyone. Today, we take a look at Private Internet Access (also known as PIA) which is one of the most popular VPN services in the market currently. PIA is a desktop VPN service that boasts of thousands of web servers around the world for you to choose from, support for file sharing and an extremely user friendly interface that makes it a breeze to logon to a server of your choice. PIA is priced at a very pocket friendly $39.95 for an annual subscription that gives you five licenses that can be used across multiple devices simultaneously and will work with varied operating systems that include iOS, Android and Windows. You also have the option to buy a router (some great brands and models to choose from) with preinstalled PIA VPN that can be used to encrypt the traffic for all devices connected to it. The monthly plan is priced at $6.95 which may be a tad higher than some of the other services in the market. The immediate competitor KeepSolid VPN for example, is priced at $4.99 a month. Having analyzed and reviewed VPN services for a while now, I can vouch for the fact that cheaper does not always equate to secure or safe. Despite being priced a couple of dollars more than the competition, PIA has a flawless security system which I will touch on later in the article. Private Internet Access has 3,341 servers in more than 24 countries around the world making it one of the best choices when it comes to geographic diversity. You can pick from servers in Europe, Central America, UK, South America, Asia, Australia, New Zealand and of course, the US. The only missing countries in this list are Africa and Russia. But I haven’t found many VPN services offering servers in Africa. PIA did have servers in Russia but they have since been discontinued citing privacy reasons. One of the reasons why Private Internet Access remains one of the best VPN services in the business is because they don’t cut corners with security. There are multiple security protocol combinations that can be used and if you are a novice, you can just select the best possible one. There are ample tips and guides to help you make a choice. The standard ones are PPTP, L2TP/IPSec and OpenVPN, with the latter being the default choice when you wish to unblock websites. Data encryption is possible up to AES-256. You also get access to a private DNS server and a SOCKS5 proxy. Private Internet Access VPN is fast and reliable. There are minimal lags or delays even while loading resource intensive web pages or HD quality videos on any of their servers. The most important thing that most potential users would want to know is how private the service really is. Can they track and report your internet usage habits to law enforcement agencies or other third parties if it comes down to it? Well, ideally, any VPN service should not be considered as a loophole to perform illegal or restricted activities on the internet. But coming to the question, PIA does not store any logs of its users surfing habits. So, since nothing is stored, there’s nothing to report. Recently, they were subpoenaed by the FBI and this is precisely what the company responded with. No logs stored, so nothing to report. By the way, the company is headquartered in Michigan, USA and is a subsidiary of the London Trust Media Inc.
Apart from the above mentioned features, Private Internet Acess also has a bunch of tools which make life simpler when you are connected to the internet using the VPN. A Kill switch for example, lets you terminate all open applications immediately if the connection to the VPN server is disconnected for some reason. This prevents any of your information from being relayed online. Their ad-blocking tool called MACE is one of the best ones in the industry that blocks malicious trackers that are hidden in website advertisements. Last but not the least; you have several payment method options to subscribe to Private Internet Access. If you do not wish to use your Credit Card for example, then you have an option to use Bitcoin, Ripple, PayPal, OKPay and Amazon. Verdict: Packed with features and a very lightweight and user-friendly UI, Private Internet Access comes across as one of the best VPN services in the market currently. It is backed by a very affordable price tag and a great customer support team. Hard to go wrong with this one. 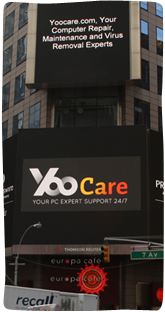 If you don’t know what is the best VPN for you, you are recommended to contact YooCare expert for further help.